There aren’t many conferences or workshops out there for those in charge of the brand development, management and communication of cities, regions, destinations or countries. 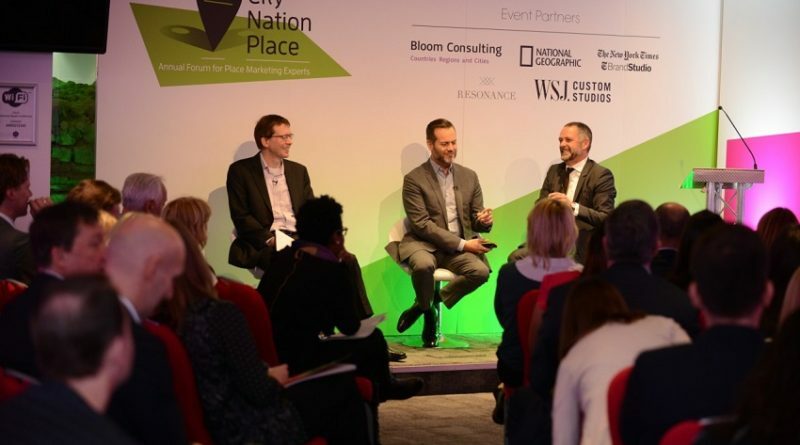 Thankfully, this year’s flagship event for place brand professionals – the City Nation Place Forum in London (November 9-10) offered just this: networking space and ample opportunity to learn from each other. Now in its second year of existence, the City Nation Place Forum was an opportunity for us to put faces to names, get hands-on advice from the best, but also to take the pulse of the state of affairs among practitioners from around the world. Below some key points from the workshops (day one) and forum (day two). The first workshop was about rebranding. Sometimes, rebranding is attempted through a new promotional initiative (place promotion), whereas in other instances the focus is on refreshing a place’s identity (place development, or place making). Above all, engage your citizens, so they can become ambassadors of the brand. How to identify and prioritize stakeholders? How to allocate responsibility for stakeholder management? How to encourage stakeholder participation? How to deal with problematic stakeholders? One point made during the roundtable discussions was to not confuse stakeholders with customers, but to make sure all four main stakeholder groups are on board and part of a brand strategy: 1) Government, 2) Civil society, 3) Businesses, and 4) Media. Examples of stakeholder engagement discussed at the workshop include South Africa’s “Play your part”, and the Canadian city of Edmonton, which won the 2016 CNP Award for best expression of place brand identity. For successful place branding initiatives, stakeholders need to be part of both the process (defining strategy and decision making) and projects (living and implementing the brand). No place brand can be successful if it is developed by a committee and does not involve local residents and businesses. But how to get stakeholders on board in the first place? One useful piece of advice: When approaching stakeholders, offer them to tell their stories. Show that you are serious about this and that you go beyond your duty as place leader to inform, engage and educate the public. Equally important: Unlike marketing communications campaigns for specific seasons and markets, results of place brand strategies can only be measured mid- to long-term, so make sure to manage stakeholder expectations and to agree on measurable, realistic KPIs. Lastly, make sure you invite the right persons to form part of your place brand committee. Change the language if needed to reach problematic or skeptical stakeholders. For instance, you may want to avoid the term branding (which is both disliked and often misunderstood) and instead focus on talent attraction or destination competitiveness. One example, the GREAT Britain campaign – 2016 CNP Award winner for best communications strategy – doesn’t talk to the government about place branding, but about economic development to create jobs and attract investment. Likewise, the team in charge of I Amsterdam avoids the term place branding, which really is just a short form for the sum of brand strategy development, reputation management (monitoring, assessment) and place promotion. Moving on from the workshops to the actual conference, a very engaging presentation was called A Tale of Two Cities, in which Fred Dixon, CEO of New York & Co, and Frans van der Avert, CEO of Amsterdam Marketing, shared their respective work experiences and city branding challenges. Did you know that..
To take pressure off the inner city, Amsterdam Marketing increased the destination by including surrounding places under the Destination Amsterdam umbrella. Naturally, New York has also an overcrowding problem in its massive inner city, so tries to break seasonality and to create new destinations city-wide. Sometimes, unique hotels or venues become destinations by themselves. Experience: Focus on creating memorable experiences. Be trustworthy, interact, engage – Magdalena Florek. The best place brand stories aren’t those manufactured or created, but those already there, waiting to be (re)discovered and found. Place branders, use your imagination and remember that this isn’t about concepts, but about concretes. With thanks to Natalia Ferrer Roca and Tanya Makarova for sharing notes and contributing to this summary of key insights from the City Nation Place Forum in London, 9-10 November 2016.